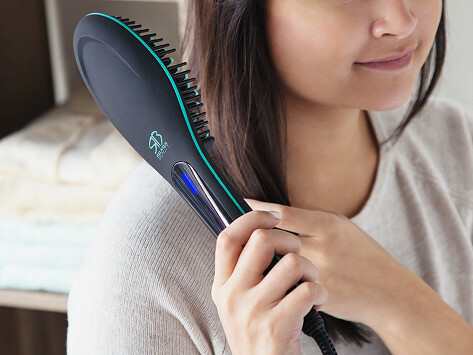 Tame fly-aways and treat dry hair to a smooth finish with just a few passes of this ionic straightening brush. 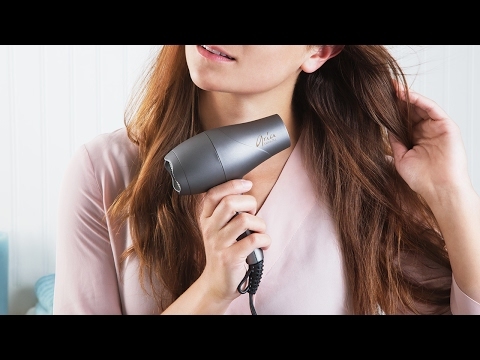 Heated ceramic plates create negative ions that fight frizz and static, and far-infrared heat waves gently warm hair from the inside out, boosting bounce and shine. Dimensions: 12" x 2.75" x 1.5"
I am terrible with hairstyling products and need something both easy and effective. This brush meets both criteria. I love it! Good if you have long hair. Kind of heavy and awkward. Would be nicer if the bristles were smaller and more like a real brush. Whether you’re taming fly-aways or treating yourself to a full blow-out, these tools turn a negative into a positive—hair day, that is.